Summer is at its fullest. This season trend is a make-up à la colourful bird. Juicy and full of energy colours dominate not only fashion shows, but are also worn by all girls. Yves Saint Laurent followed this lead and provided us with new mascaras Vinyl Couture. You can go ahead and say it that black mascara is no more. Its place was taken over by brand new, colourful mascaras Vinyl Couture from Yves Saint Laurent. In this new collection from famous designer you can find seven banging shades; if you prefer classical and elegant look you can always use black mascara. Yves Saint Laurent made sure that every girl can beautify herself, no matter light or dark skin complexion, or green, brown, light blue iris. You can choose out of following colours: green, blue, violet, pink, brown, black and golden with shimmering pigments. 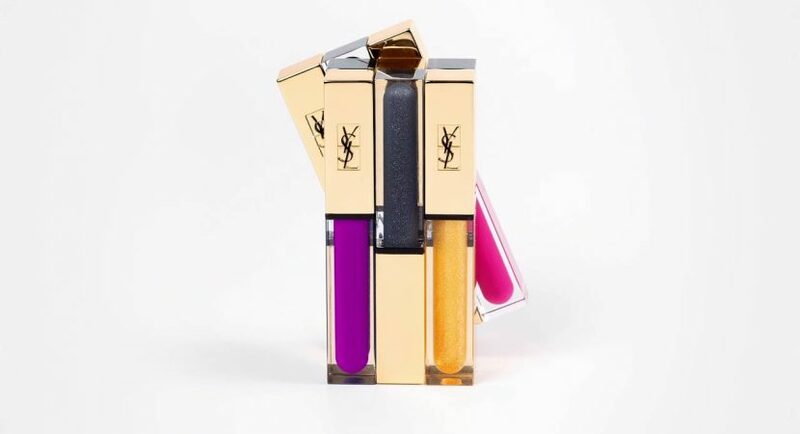 Mascaras Vinyl Couture from Yves Saint Laurent provide intense and expressive colours. They beautify eyes frame, ensure look with depth and charm. Additionally, mascara lengthens, curls and doubles thickness of lashes. Light formula of cosmetic makes application easier, does not clump lashes and product is non-flaking. How should you apply mascara Vinyl Couture from Yves Saint Laurent? Colourful mascaras can be combined in an amazing colour compositions; they can be used separately. At the roots cover lashes with mascara in darker colour and at the ends – in the lighter. Great solution is also to cover upper and lower lashes with different colours. Those mascaras delight also with their packagings. They resemble lip gloss phial. Thanks to transparent bottle you can monitor amount of cosmetic left. Obviously, there had to be some golden accents and initials of Yves Saint Laurent. Brush has short and thick bristle. Make-up with Vinyl Couture just has to be great!